YOUR DAY, CAPTURED AS IT HAPPENS. In so many ways, I love making short films about people’s weddings. It is one of the most important, exciting honest things anyone gets to witness and I feel really lucky to get to be a part of that. 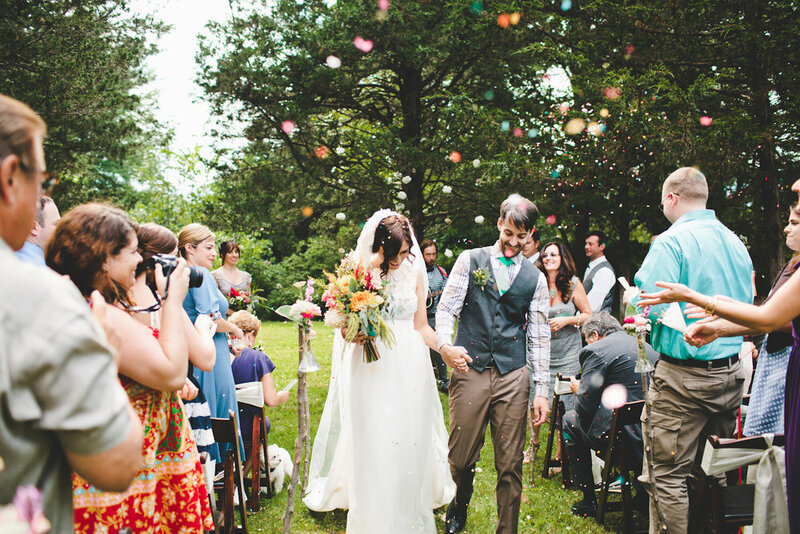 Whether it’s an elopement in the mountains, an intimate wedding in a rustic barn, or a handmade backyard ceremony that ends with fireworks and s’mores I’ll always be drawn to the real-life love stories that are the backbone of these beautiful events. I fell in love with film-making when I first started capturing footage of my family with an old super-8 camera. The life that was captured on that film felt like it embedded stronger memories, as if I could better remember the sounds and smells and feelings from those family adventures. And I realized that I could share that same experience with other people, that I could capture their day, as it unfolds, sometimes from their perspective and sometimes from my own. And, in that, the end-product would be this perfect time-capsule of an amazing experience. If you have any special requests that do not fall under any of the three following packages don’t hesitate to reach out to me directly with questions/request. I’m always happy to partner with couples to make sure what they envision can be accomplished. Base-level package that ensures beautiful coverage of your wedding with minimal “production” effect. This package provides 1 cinematographer and a multi-cam setup.